Faith Johnmark a Gospel Singer, Song writer and a Pastor at Potters Wheel Church Int’l. 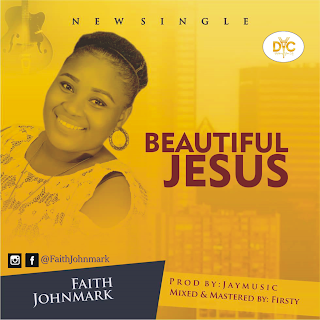 She Decided to release Her first Recorded Single Titled Beautiful Jesus. The Song was inspired by the holy spirit and it has been a blessing to so many lives that has heard it. The song was produced by JayMusic, Mixed and Mastered By Firsty. Share to bless more lives as it blesses yours.